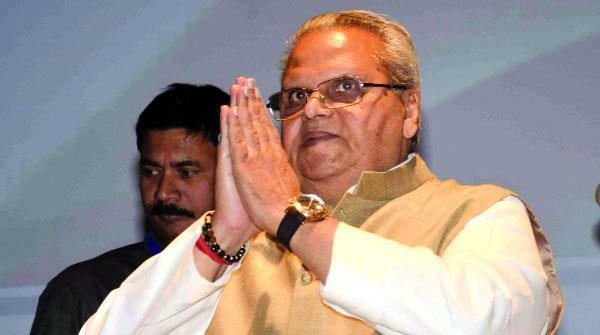 JAMMU: Governor Satya Pal Malik’s health deteriorated today, forcing him to cancel his schedule of attending the Annual Day function of the SKIMS in Srinagar, as he was forced to prepone his departure to New Delhi for medical checkup. Malik was on Wednesday scheduled to fly to Srinagar and preside over the function at SKIMS. However, he missed the event, and his advisors B B Vyas, Vijay Kumar and KK Sharma attended the event instead, with Kumar being the chief guest. There were media reports criticising the Governor for not attending the annual function of the premier tertiary care hospital of the state where Malik was supposed to be the chief guest. In an apparent reaction, the Raj Bhavan released a statement late Wednesday evening, asserting that Malik could not attend the function as he was unwell. "Governor Satya Pal Malik could not attend SKIMS Soura Annual day function in Srinagar on morning as he was unwell," a Raj Bhawan spokesman said. "In fact, the Governor was already scheduled to go to New Delhi after attending function at SKIMS in Srinagar for medical consultations but had to prepone his departure because of medical reasons," the spokesman added.